NIA CHARLESTOWN NEVIS (February 13, 2015) — Premier of Nevis Hon. 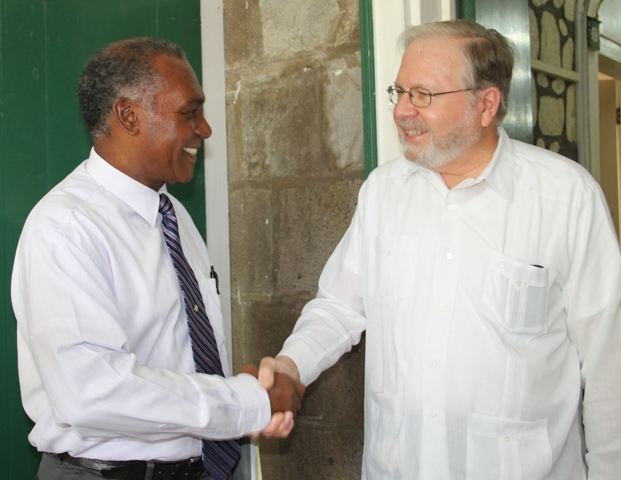 Vance Amory told a visiting Organisation of American States Electoral Observer Mission it had an interesting role to play in the general elections of St. Kitts and Nevis, carded for Monday, February 16, 2015. Mr. Amory’s comment came at the end of a meeting with the four-member Mission at his Bath Plain office on February 13, 2015. He said he told the team of some of the issues at stake, among them, preparations made, concerns with respect to the elections being held and the issues which led to the Privy Council’s decision with regard to the boundary changes. “Surely we looked at something like the early voting which has been instituted and also the difficulties we are experiencing with the preparation of the lists for the poll on Monday and I think those are matters of concern to ourselves. “I am sure when the mission continues its observation, they will then be able to make their assessments on these matters which I think are critical to the practice of our democracy and matters which we have been questioning as well leading up to this poll,” he said. Mr. Amory told the mission that he was certain that it would transact its duties professionally and as such the people of Nevis and the people of St. Kitts and Nevis would be the beneficiaries of their findings at the end of the poll. Meantime, Head of the Mission and Senior Advisor for International Cooperation and Development in the OAS His Excellency Frank Almaguer, noted that the group was in the Federation at the invitation of St. Kitts and Nevis to participate in the observation of the elections. 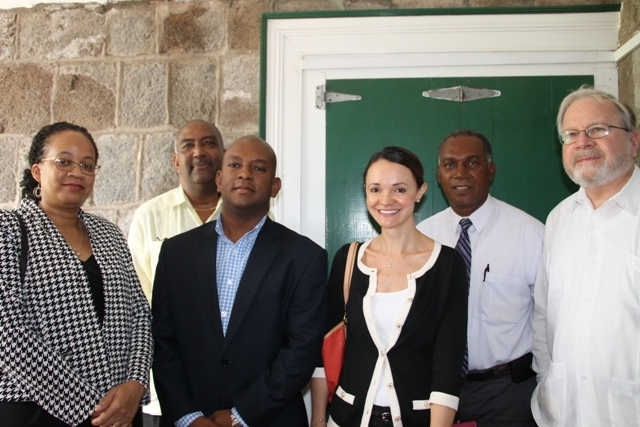 The OAS Ambassador said the team was happy to visit Nevis for a first-hand encounter with preparations ahead of Monday’s poll. He noted that they would remain on Nevis throughout the elections. He described the meeting as pleasant and said the members of the delegation were happy for the meeting to understand from Premier Amory perspective some of the issues that impact on the elections. Other members of the OAS Electoral Observer Mission are Deputy Chief and Secretariat for Political Affairs at the OAS Department for Electoral Cooperation and Observation Marcela Garzon; Advisor Paul O. Spencer and Political Advisor Melene Glynn. OAS Representative to St. Kitts and Nevis Terence Craig accompanied the team.